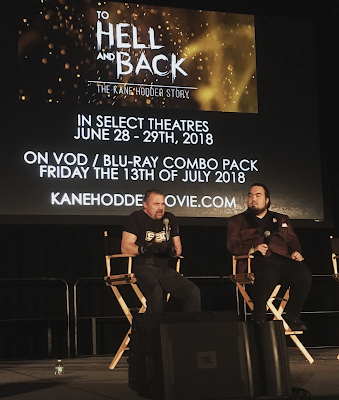 Dread Central Presents and Epic Pictures announced yesterday at Monsterpalooza the release dates for the upcoming documentary To Hell And Back: The Kane Hodder Story. The film will open to a limited theatrical release on June 28th with VOD and DVD/Blu-ray following on Friday July 13th, marking the 41st anniversary of Hodder's life-changing accident. It features Kane Hodder, Cassandra Peterson (Elvira), Bruce Campbell (Ash Vs Evil Dead), Robert Englund (Freddy Krueger), Adam Green (writer/director of the Hatchet franchise), Sid Haig (The Devil’s Rejects), Sean S. Cunningham and more. Check out the synopsis and trailer below. 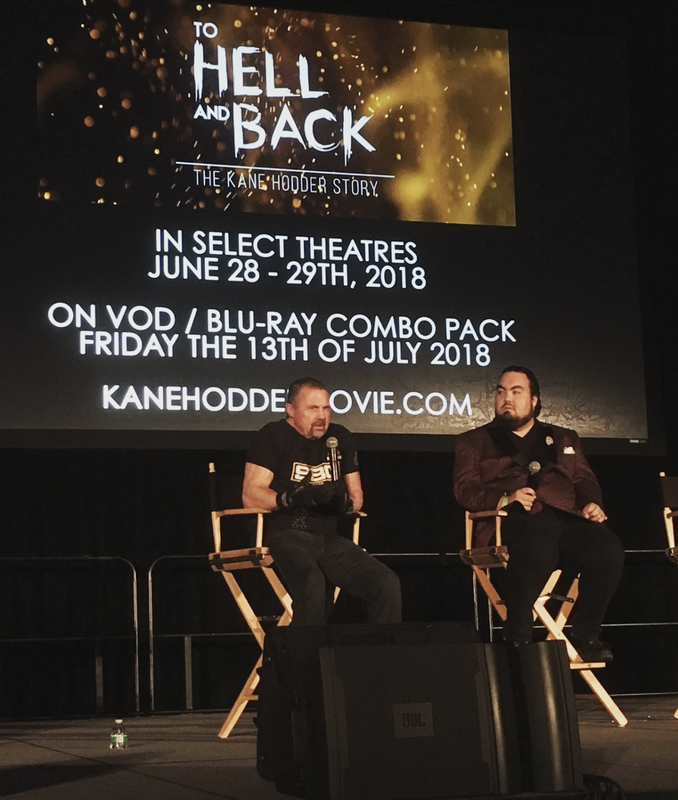 "It is the first documentary film acquired by Dread Central Presents, is directed by Derek Dennis Herbert and portrays the harrowing story of famed stuntman Kane Hodder who overcame a dehumanizing childhood filled with torment and bullying in Sparks, Nevada. In addition to his childhood, the documentary focuses on his survival of a near-death burn accident as well as his career as a genre icon that spans over 100 films and saw him kill more people on screen than any other actor."